Cold Dude Computers: Rockhopper Tracker Adventure Party 2012! Rockhopper Tracker Adventure Party 2012! !Attention: This is a sticky post, scroll down for latest cheats and tips! Rockhopper is back on the island so that means it's time to track him! Here is his playercard and tracker below. 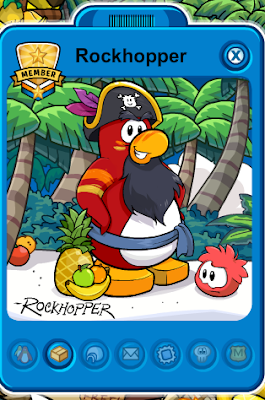 I think that Rockhopper's new look is epic LOL! What do you think? Leave a comment and let us know!